Airframe Pro is our most advanced car phone mount yet. We've designed this new vent car mount from the ground up to be more stable, more secure, and more compatible than ever. The premium materials and refined design look great in any car, and its compact size makes it perfect for travel. Airframe Pro Android and iPhone holder. SAFELY IN VIEW - Keep your smartphone in sight at eye level and ready for GPS directions, streaming music, and hands-free calls with this car phone mount. EXTRA LARGE EXPANDABLE GRIP - We've engineered this new grip into our Android and iPhone car holder to hold up to the largest phones and cases, such as Otterbox and Lifeproof for iPhone 7 Plus. PUSH-BUTTON VENT CLIP - The new spring-loaded vent clip is super secure, safe for all car air vents, and attaches with push-button convenience making it one of the easiest to use car accessories available. 360° PIVOT - A remarkably smooth ball-and-socket on our vent car mount joint allows the phone to be positioned at any angle, keeping the screen safely in view. 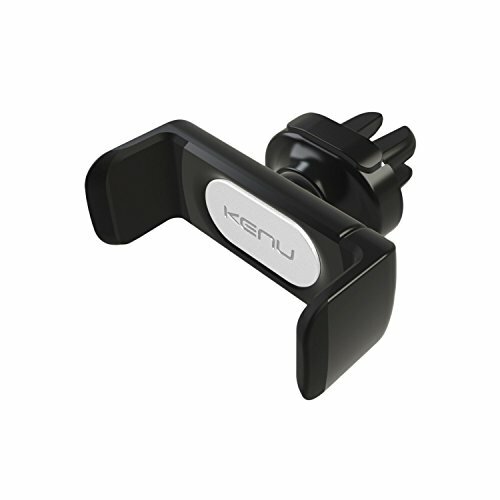 If you have any questions about this product by Kenu, contact us by completing and submitting the form below. If you are looking for a specif part number, please include it with your message.